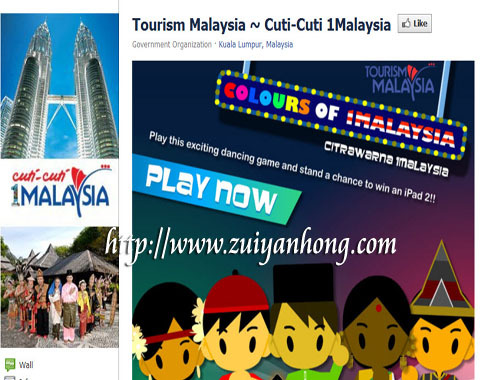 The episode of Malaysia Ministry of Tourism 1.8 million Facebook fan page is truly a good play and still ongoing. Minister of Tourism Dr Ng Yen Yen who involved in this Malaysian farce had been urged to brief in the Cabinet. She claims that the Cabinet had accepted her explanation. Her Cabinet colleague Minister of Health Liow Tiong Lai believes the Facebook fan page issue is a political agenda of Pakatan Rakyat. In fact Dr Ng Yen Yen doesn't understand the political scenario in Malaysia. As a Minister of Malaysia government, she should do more homework on formation of government which is mandated by Malaysian. Any allocation which is related to people's hard earn money is public concern. At least, either the Cabinet or Dr Ng Yen Yen should provide the information of Impact Creations to clear public doubts.